It seems to be decorated in the Cizhou tradition but underglaze blue. I have found a picture of a similar dish in a Chinese book I can't read :-). 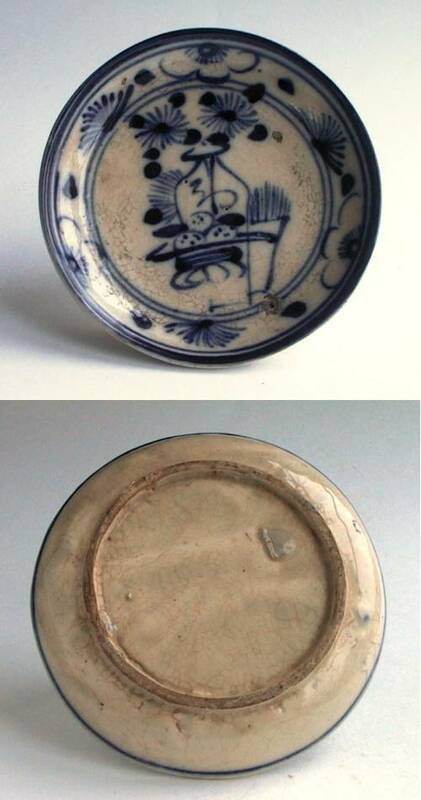 Blue & White Small Dish, Popularly used in Northern China, Hebei and Shandong Villeges. Down to earth and modest, produced by Northern China Folk Kilns. Nice cute dishes. Cizhou could have made them too, being a Hebei province. Some modern Shandong wares have a very ancient feel and look, especially those with incised / carving design with brown / black glaze and green patches.